This space served as the chapter-house, a meeting place for the chapter or governing body of the monastery. 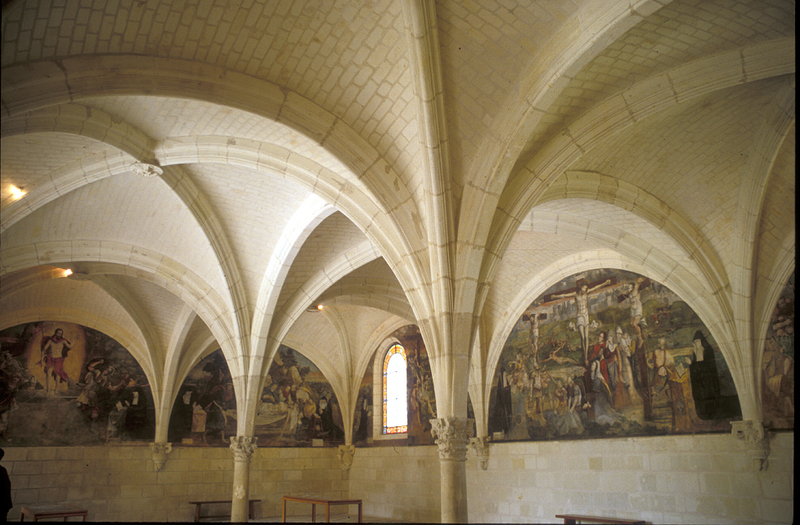 The ceiling of this spacious room is a quadrapartite ribbed vault. 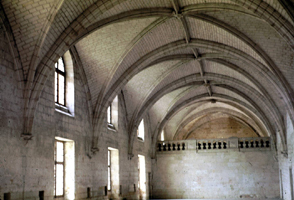 It is a groined vault, created by the intersection of two barrel vaults. Along the walls, the arches are supported on corbels rather than on columns. 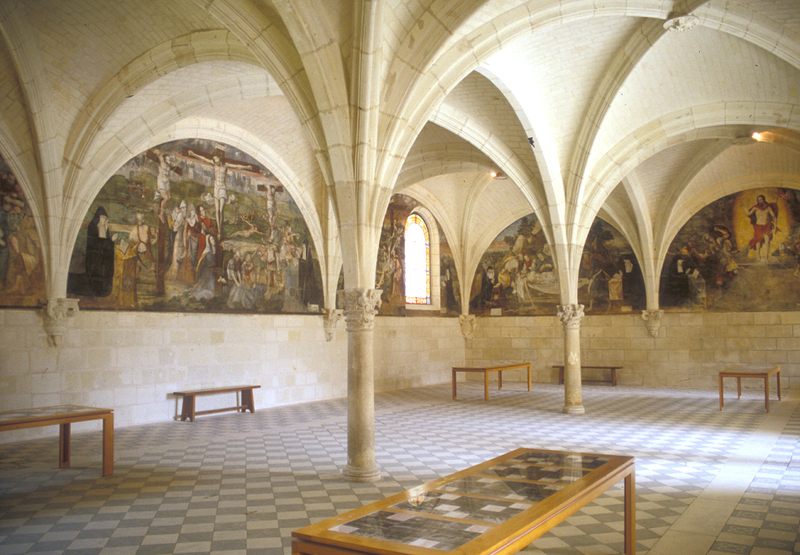 The refectory is the dining-room of a monastery. the arches are supported on corbels rather than on columns. 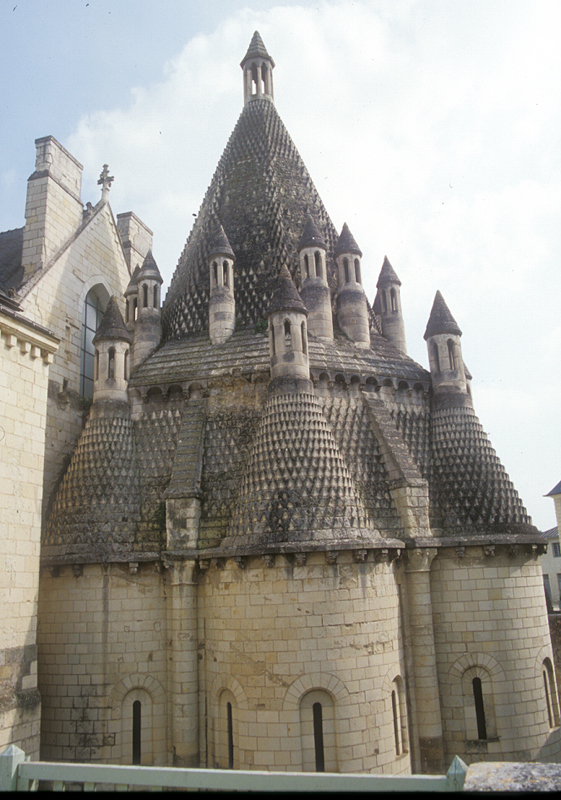 This 12th century structure is the only remaining Romanesque kitchen in France, though a similar structure is extant in Glastonbury, England. It contains five of its original eight apsides (half-rounded apses which were originally chapels), each with a conical turret. The top of the structures is covered by a pyramidal roof, which is surrounded by small tower-chimneys. At the apex is by an open-air lantern tower pierced with lancets.